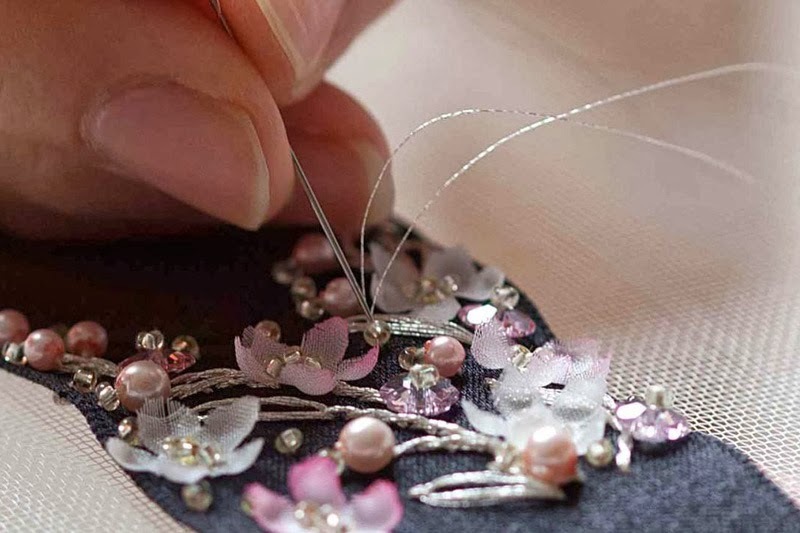 Miss Dior is unveiling a precious new bottle dressed with a luxuriously embroidered bow, created for the Grand Palais exhibition in Paris. More than sixty-five years after its creation, Miss Dior is one of Dior's emblematic perfumes. Dior is now paying tribute to this legendary scent with a series of twelve exceptional pieces. Miss Dior is thus revisited as an ultra-luxurious version whose famous bow is embellished with embroidery executed with the utmost expertise and attention by the Vermont ateliers, a house specializing in handwork of the highest quality. 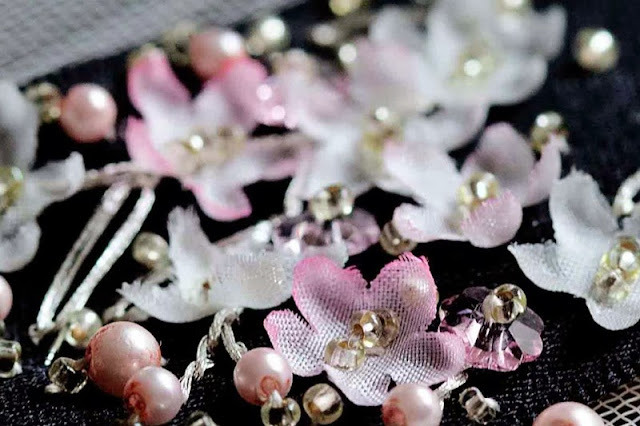 On a wide black satin duchesse ribbon are intertwining real silver threads, faintly pink beads and exquisitely delicate flowers in silk pongee. The bottle, topped with a stopper in hand-cut and polished glass, is housed in a luxurious coffret. It contains the precious composition that is Miss Dior Le Parfum, a concentration of the finest raw materials, created by François Demachy, the house's exclusive perfumer-creator. Essence of Indonesian patchouli and Damask rose absolute unite in a daring and feminine fragrance, an echo of the haute couture embellishment that wraps it.